Wood cards have a unique beauty and feel that makes them into more than just an average greeting card. Write on the back with a ballpoint pen, and mail them with a single first class stamp. 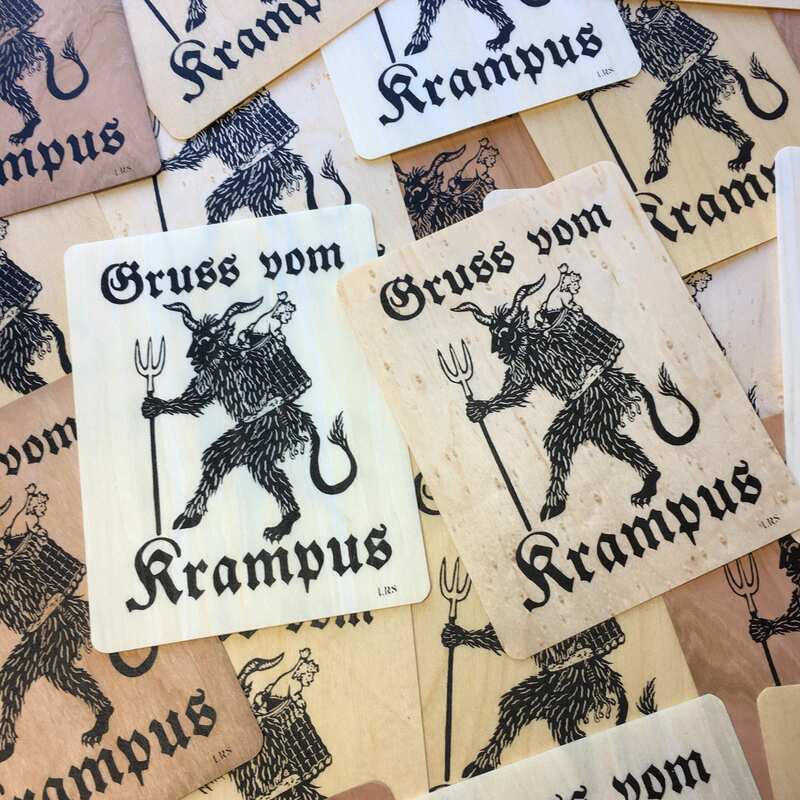 All of my Krampus cards are screen printed by me with archival ink on Aspen, Birch, Birdseye Maple, Cherry, and Maple. Each of these cards is made from wood veneer sustainably harvested and processed in the USA -- creating these cards actually uses less wood and energy than papermaking! Please note, because wood is a natural material it has its own unique character, the photos above are a representation of the wood types. Each card will exhibit different grain patterns as well as color variations. A2 size (5.5" x 4.25") with rounded corners, envelope included. "Krampus" is copyright Liv Rainey-Smith 2010.